With millions of others, I marched this weekend in the #WomensMarch. Our crowd in Los Angeles numbered around 750,000. 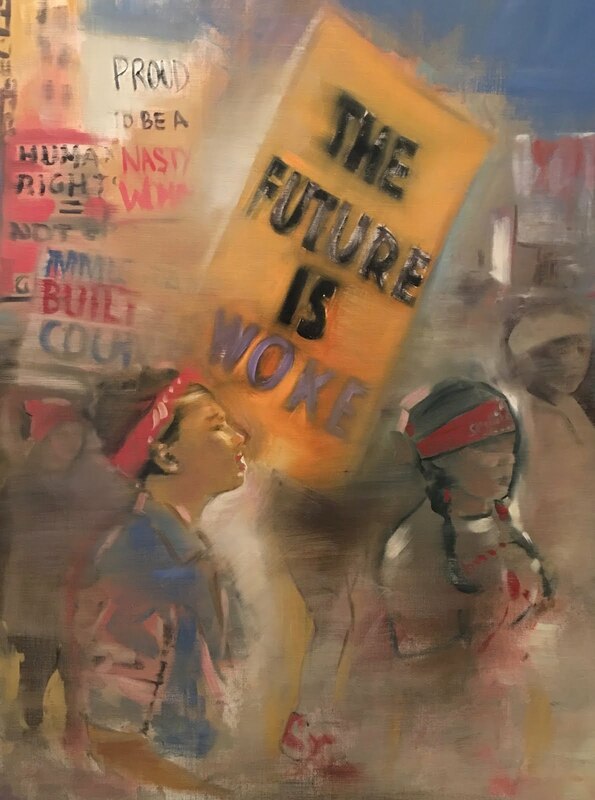 The Future Is Woke is the first in a series of paintings exploring this time of change. As we carry the spirit of the Women's March forward: On Saturday, January 28th 2017, from 1-3pm at the Santa Monica Art Studios, a vibrant panel discussion on Art in the Time of Trump will be held. 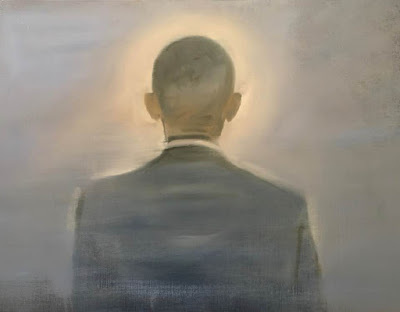 Art in the Time of Trump will be part of our satellite art event “More Art Here” running concurrently with the Art Los Angeles Contemporary art fair across the street from the Santa Monica Art Studios at Barker Hangar. Thank You Mary Tyler Moore! Ashley Judd: "I am a nasty woman"